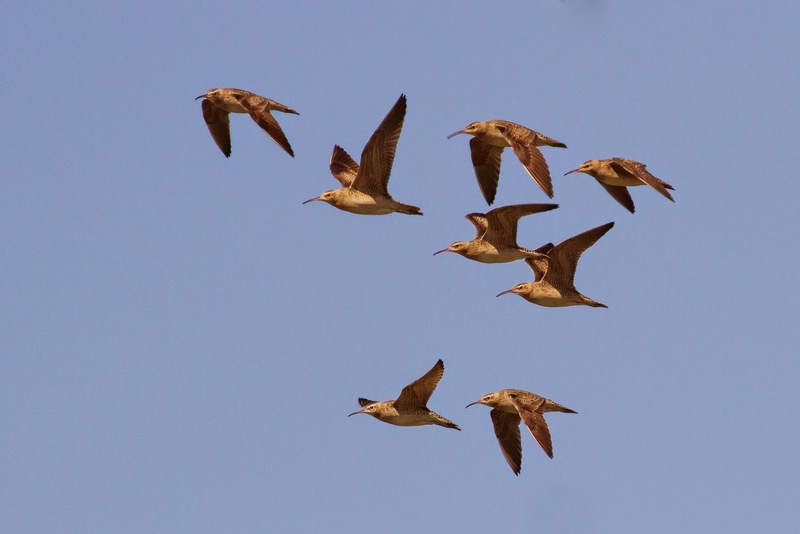 Very exciting news - two of the little curlew with PTTs deployed this year have departed Anna Plains (IDs 61 and 65). This timing of departure matches well with a bird from 2014 (24/4/14), which reached the breeding grounds. The two little curlew are travelling together, presumably in a flock, and at 10pm last night (24th April) were 210 km north west of Anna Plains. 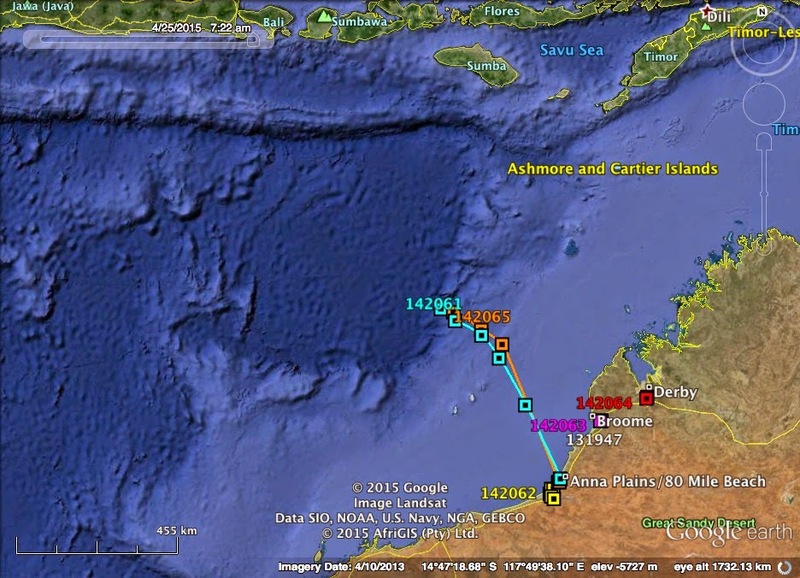 Last fixes for these birds were at 4:27am (65) and 5:20am (61) this morning (25th April), roughly 560km north west of AP. More updates to come as the migration progresses. Exciting times ahead!